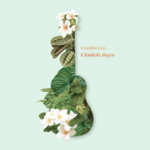 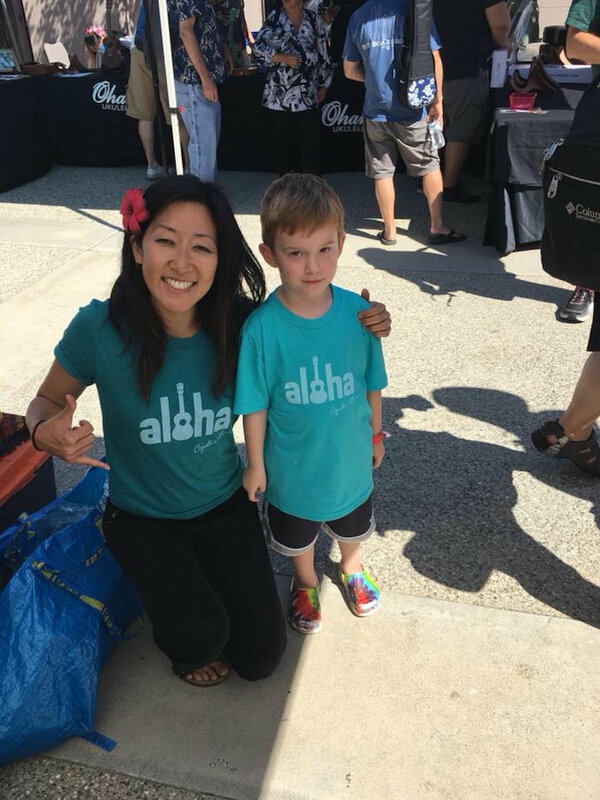 "Aloha" signature tee, designed by Cynthia. 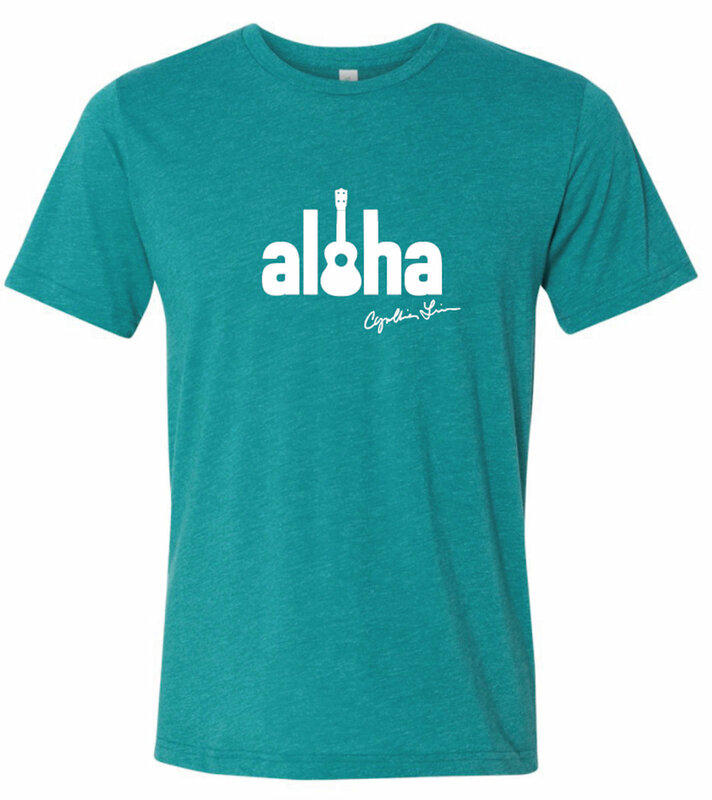 Adult tees are a beautiful teal color, super soft high-quality triblend shirt from Bella + Canvas. Shrink-resistant, unisex tee with a nice drape, so order true to size. 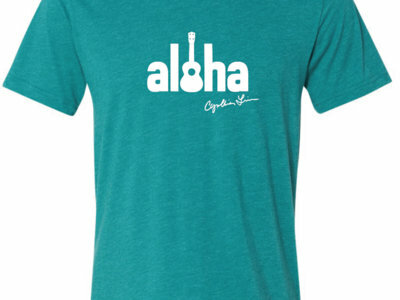 Youth tees are 60/40 Cotton/Poly in Tahiti Blue.